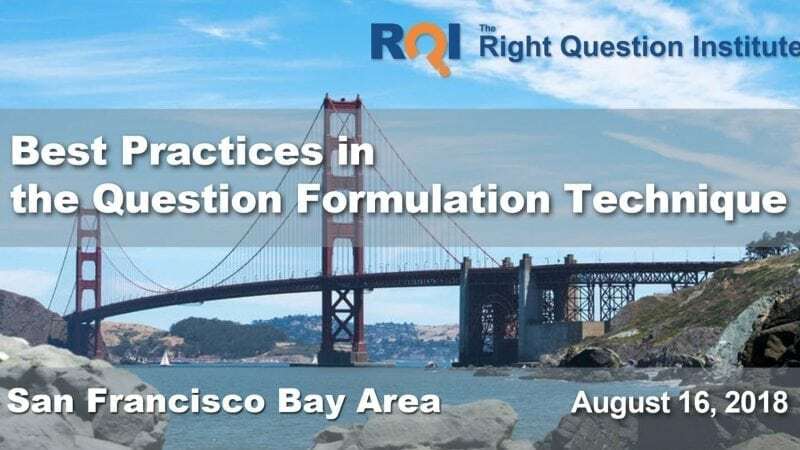 The Right Question Institute (RQI), in partnership with Burlingame School District, is excited to announce the West Coast Regional Seminar on Best Practices in the Question Formulation Technique (QFT). Located just 30 minutes south of San Francisco, Burlingame Intermediate School at 1715 Quesada Way, Burlingame, CA 94010, is a convenient location for the seminar offering free parking and easy access to the building. This one-day regional seminar will offer a special opportunity to work closely with RQI Co-Director Dan Rothstein, as well as expert Question Formulation Technique (QFT) facilitators from around the area who will lead an exciting lineup of special interest workshops in the afternoon. Join RQI and fellow educators from around the region for an opportunity to explore the many ways the QFT stimulates curiosity, promotes deeper learning, and builds democratic habits of mind.